Throughout our two-week program, your child will work closely with industry professionals to create a fully staged musical production. Each child will have the opportunity to develop critical performance skills that can be applied both on and off the stage! Every child will be assigned a speaking role and given individual attention while creating their character. Bryant Academy will strive to build the child’s confidence and strengthen their acting skills with a variety of techniques, including improvisation and scene study. Music and dance will keep your child both physically and mentally active. Your child will learn to work as a group to perform fun, challenging choreography, as well as memorable melodies that will have them singing all day long! This year, Bryant Academy is partnering with Cixi Zhiyin Children’s Performance Association in China to bring greater cultural diversity and appreciation to the arts in Oakville. The first week of our program is focused on honing the skills listed above in preparation for week two, when our exchange begins! We will be collaborating with international students to create two diverse casts of the same musical. The program culminates in two performances at a professional theatre, where all participants will perform on stage for a live audience. When they are not performing, they will be able to support their fellow cast mates by cheering from the audience. We can’t wait to share this unique opportunity with your child! Located in central Oakville, the spacious studio is equipped with laminate-base spring flooring, large mirrors, and a high quality sound system. There are two bathrooms, a front entrance, seating area, and a convenient area for drop-off and pick-up! This year’s final performance will be held at The Oakville Centre for the Performing Arts. 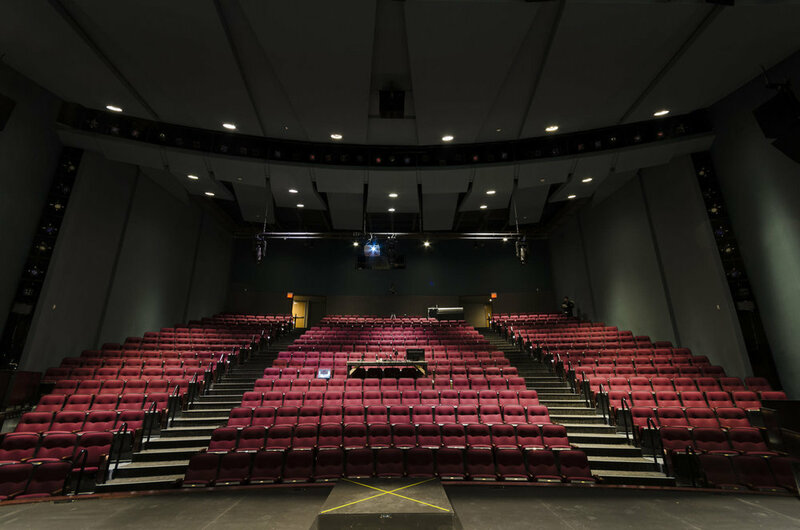 The Mission of The Oakville Centre is to provide Oakville residents with a place to learn about themselves and the world around them through dance, music, storytelling, and theatre. We are excited to be using this beautiful space and can’t wait to fill these seats! 54 hours of instruction, a full day in a professional theatre, script to keep, costumes for the performance, camp T-shirt, theme days, one snack everyday, two lunches (pizza and sub), plus a whole lot of FUN!